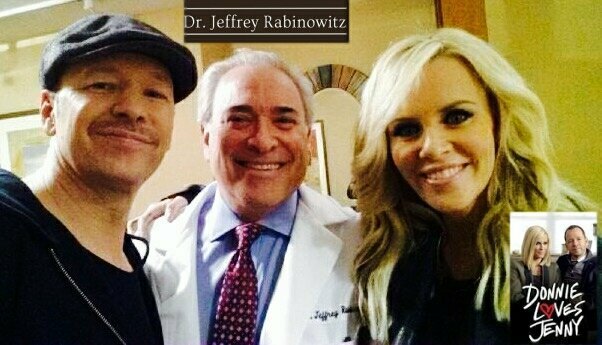 Be sure to check out the comedic dental episode that Dr. Rabinowitz filmed for his patients Jenny McCarthy and Donnie Wahlberg for their television show “Donnie Loves Jenny” to air in July! 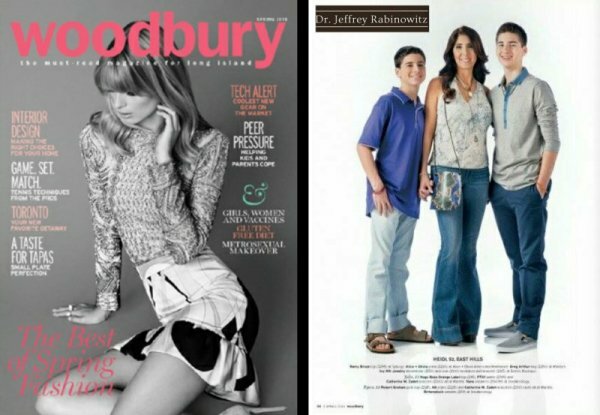 Check out the Spring 2015 Edition of the Woodbury Magazine featuring Dr. Rabinowitz’s family previewing spring’s fashion! Cosmetic dentistry is a specialty that focuses on the aesthetics of the smile. Cosmetic dentist can perform procedures that help with anything from stained or broken teeth. If you have small imperfections that keep you from achieving your ideal smile, keep reading to find out how cosmetic dentistry can help. The field of cosmetic dentistry combines art and science to give patients bright, beautiful smiles. A cosmetic dentist offers services like teeth whitening, contouring, bonding, and tooth-colored fillings to help people get bright, beautiful teeth and irresistible smiles. Cosmetic dentists can also give patients bridges, veneers, dental implants, and full smile makeovers. If you are self-conscious about your smile, you should schedule an appointment with the cosmetic dentists at Park 56 Dental. We help our New York City patients get bright, beautiful smiles that liven up the face. To learn more about our cosmetic dentistry services or to schedule an appointment, call (212) 826-2322. Dental X-rays provide your dentist with valuable information about the health of your teeth and gums. Top dentists are able to see things via X-ray that may not be visible during a routine oral exam. Being proactive about potential dental problems can save you money and greatly benefit your health by limiting any further damage to your teeth and mouth. Many dentists prefer to take X-rays of new patients in order to get an overall sense of their dental health. If you visit your dentist regularly and have no history of problems, you may only need X-rays once every two years. If your dentist has identified problems in your past, or if you’re at high risk for certain oral issues, your dentist may recommend that you be X-rayed every six months. You may fall into the high-risk category if you have had a lot of restorative dental work done, consume high amounts of sugar, are a smoker, or have gum disease or dry mouth. 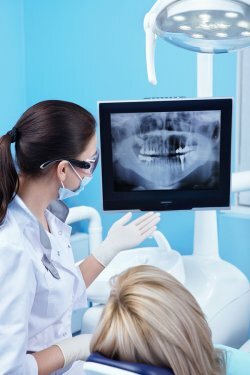 Dental X-rays allow your dentist to see tooth decay that has developed under your fillings or between your teeth, as well as bone disease, gum disease, infection, and even tumors. If you injure your jaw or mouth or are experiencing a dental emergency, an emergency dentist can see you quickly, even after-hours, and take an X-ray to determine the best course of treatment. Many top cosmetic and emergency dentists now use the advanced technology of digital X-rays instead of older traditional X-rays. Digital X-rays provide much clearer images of your teeth and expose you to very low levels of radiation compared to traditional X-rays. Digital X-rays are also quicker and more efficient to review and store. If you are concerned about your oral health or would like to know more about digital radiography and whether a dental X-ray is recommended for you, contact us today. Call Park 56 Dental at (646) 679-3993 or visit our website for more information. We’re proud to be among the top dentists in NYC .